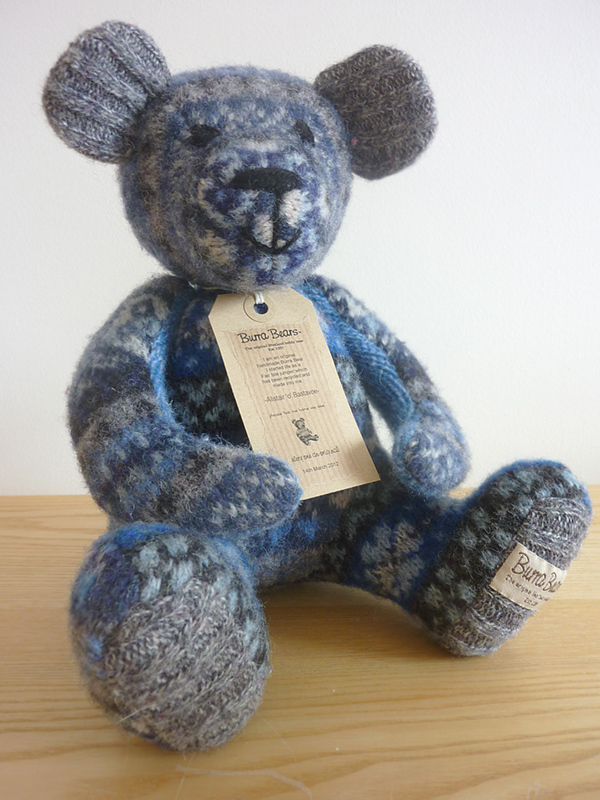 Wendy is a born and bred Shetlander. 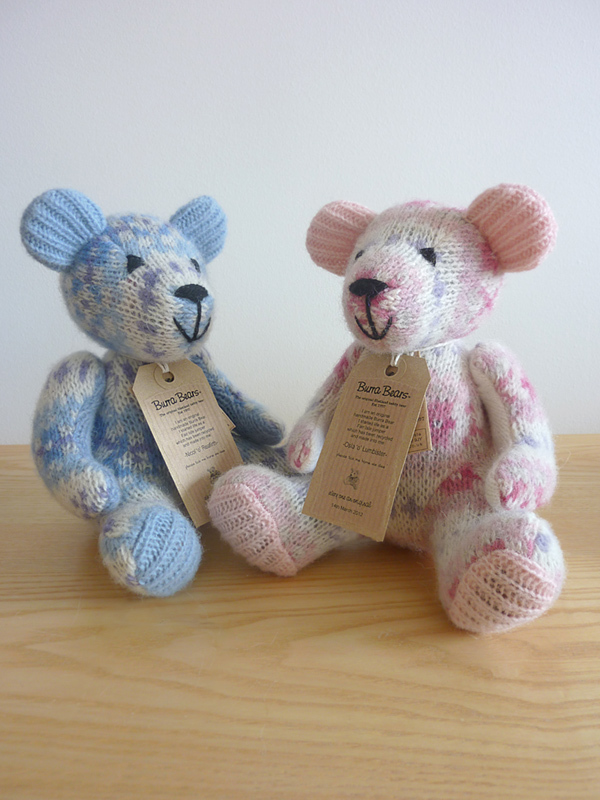 She started Burra Bears after producing a bear as a gift for her sister. 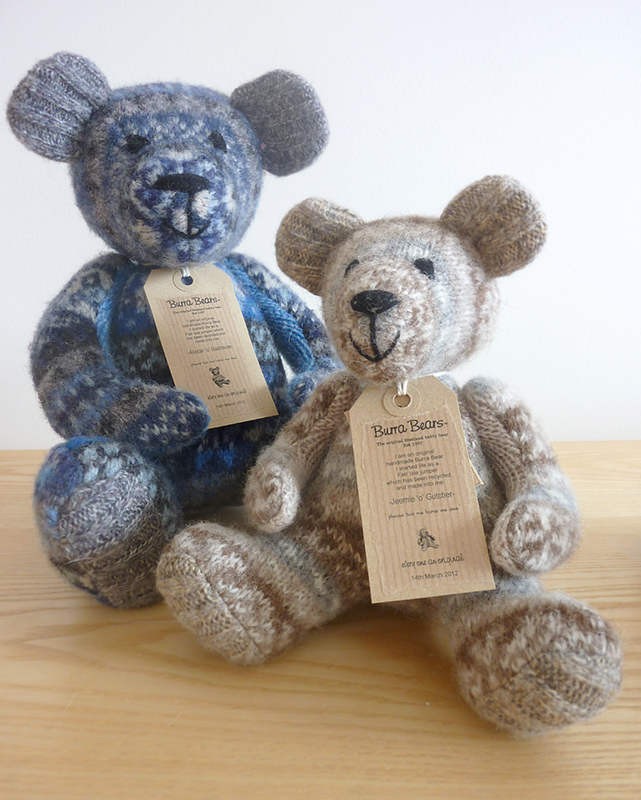 Each bear is handmade from recycled Fair Isle knitwear, which has been felted and cut out. 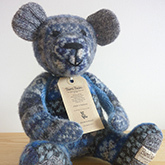 The bears are stuffed with leftovers from the sweaters, so they are completely recycled. 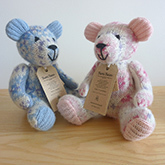 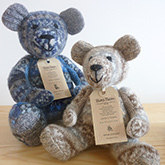 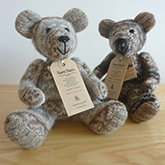 Each bear comes with its own Shetland name and place of birth. 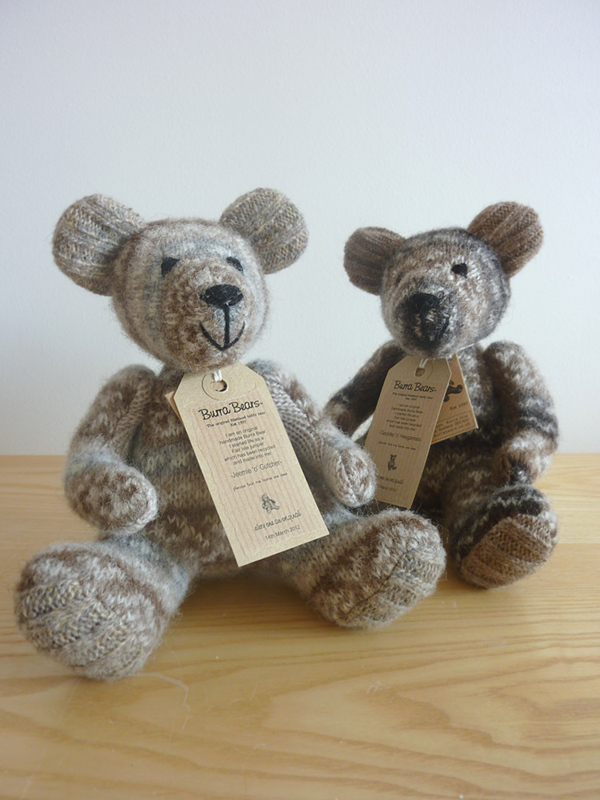 The bears are not toys, and have become collectors items all over the world.